posts about cycling. Pretty self explanatory! This year I am planning on doing a bit more cycling than I did last year, and part of this is going to be another cycling holiday in July (I’ve also got a contingency plan for a weekend in September, if I get enough Brownie points 😉 ). I’ve decided to still stay in the south west and base the ride finishing at home, so there aren’t massive transport costs or the need to use the car to get me anywhere. I’m going to catch the train down to Penzance then ride from Penzance to Taunton over 4 days, with a possibility if I’m not too knackered of carrying on from Taunton to Bristol for a final day (or actually doing Bristol back to Taunton, as that works out better with train schedules and Ellie’s nursery). 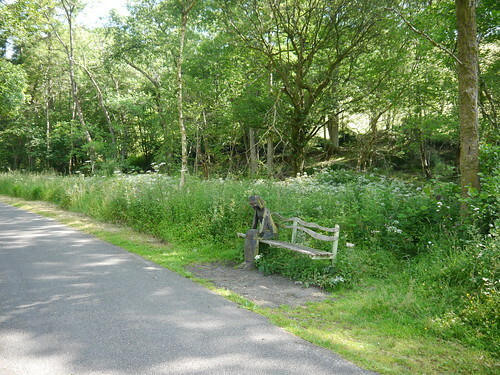 The route will follow, in the main, the Cornish Way and the West Country Way Sustrans national cycle paths. I’ve got rid of the most egregious of the silly routing decisions Sustrans made to keep cyclists off A roads though. Many hours have been spent planning these routes, specifically making sure there were decent stops for mid morning cake and decent lunches. Afternoon cake is going to be optional and will depend on where I am at the time! Day 1 – Penzance through Hayle, Camborne, Redruth, Truro, and then up to St. Columb Major. 48 miles. 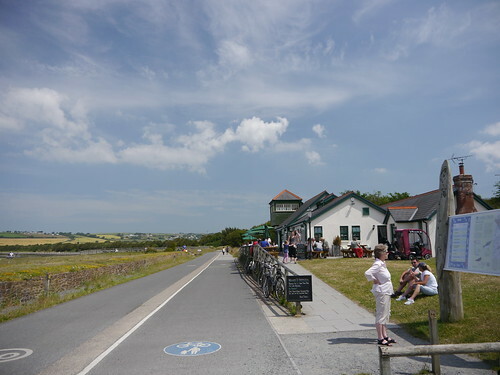 Day 2 – St. Columb Major up to Padstow then along the Camel Trail, up to the edge of Bodmin Moor and past Davidstow airfield, then into Bude. 56 miles. 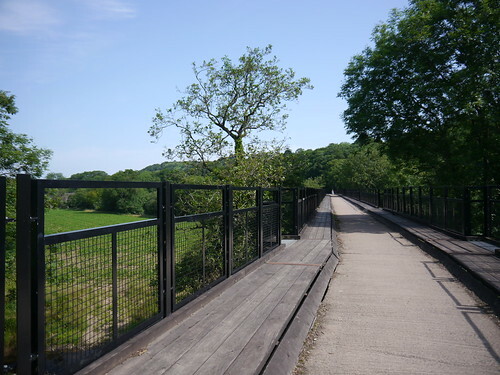 Day 3 – Bude, through Holsworthy, along the Tarka trail through Bideford and Barnstaple and up to Bratton Fleming to stay the night. 55 miles. 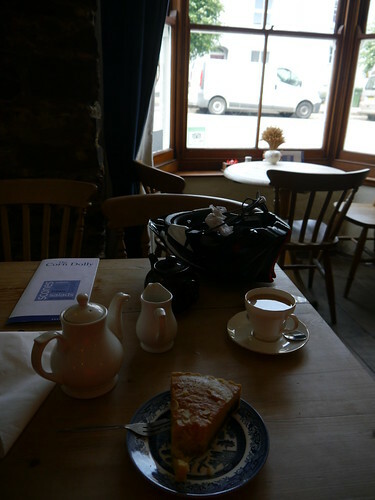 Day 4 – From Bratton Fleming onto Exmoor, across to Dulverton, Bampton and home. 51 miles. Day 5 – Bristol, down over the Mendips to Wells, then Glastonbury, Bridgewater and on to home. 66 miles. Rather than use the rack that’s now Amy’s bike and my panniers I spent a little of my Christmas bonus money and got a nice new Carradice Nelson saddle bag and the matching Bagman support to keep the bag away from my legs. I’m also going to be using my bar bag again to carry all the valuables. That way I’m hoping to leave the saddle bag on the bike whenever I stop as I should only need to take the bar bag with me. If tealeaves want to rummage through my sweaty cycling clothes in the saddle bag more fool them really. Other than that my bike is as was when I toured last year (ok the saddle has change colour but its the same type and I’ve re-wrapped the bars but you know what I mean). Depending on how well saving goes, and whether I can justify it I may replace the seat post with a nifty layback titanium one from Torus. This is supposed to be more comfortable than the thick aluminium one I have at the moment. At 125 quid though it is not cheap. Remember I said the cake stops had been planned? You thought I was joking? Well I’m going to be stopping at the following places: Heartlands, Warrens Bakery in Truro, Ring O Bells in St. Columb Major, Rick Stein’s pattisserie, The Old Inn in St. Breward, Weir House Bistro, Filter Through, Yarde Orchard, The Black Venus. Tantivy coffee shop, and Cothay Manor. Views and reviews welcome on any of these! The only thing now is to start training again. I think the last time I had a proper training ride was the 30th of September (with a month of riding on the gym indoor bike throughout October, until I decided it was just too dull) and all I’ve done since then is commute. Thats been about 45 miles a week, with some of those with Ellie on the back but still I need to get some distance rides in.